676.00 sqft. - 728.00 sqft. There are various amenities in Crystal Thoiba Gardens with to name a few. Strategically located off East Coast Road, Poonthandalam is a part of Tamil Nadu. Vengapakkam is located in the North, Kunnathur is in the west and Solaikuppam is in the South of Poonthandalam. The East Coast Road is a major highway that connects this area to other important parts of the state. Chennai International Airport is the nearest airport that connects the area with several national and international places of importance. The nearest railway station is the Otivakkam Railway Station. The roads are well developed and thus the area is well connected with the other parts of the state. Owing to the presence of all the basic establishments, this area has turned into a promising Real Estate destination. Crystal Estates Builders is a promising developer in the construction sector. For them, safety of their customers is the first and foremost priority in almost every apartment they build. With a lot of hard work and enthusiastic work by their team of professionals, they have continuously climbed the ladder of improvement and are not far away from occupying one of the top positions in the construction sector. 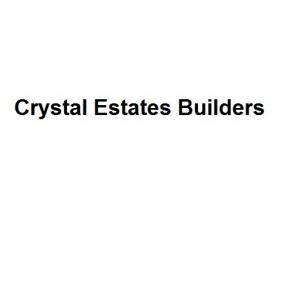 Crystal Estates Builders have the best of professionals who help them in providing quality homes to the people with their expertise and service.